On our site there are a huge number of drawing lessons about different comic book characters, such as Spider-Man, Batman or Professor-X. But today we want to draw a more unusual comic book character. 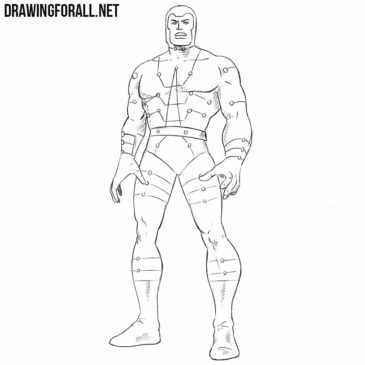 In this drawing tutorial we will show you how to draw the Phantom from Phantom 2040. We love this character because he has a very old-school appearance. It’s amazing that we started drawing rare Marvel characters but forgot about a few famous and popular ones. As you can see, we decided to correct this situation. So we made a new drawing lesson about how to draw She-Hulk. Have a nice day, dear readers! Today we will show you how to draw Magic from New Mutants. 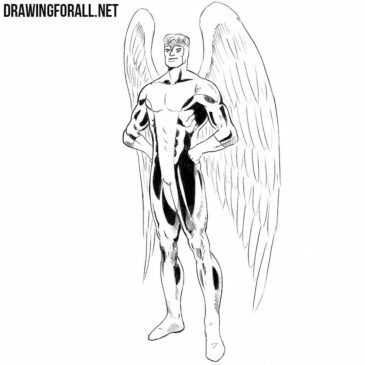 Today we will show you how to draw Angel from X-men. The creation of this lesson was a special treat for us because Angel is one of the very first members of the X-Men team. Have a nice day, dear readers. 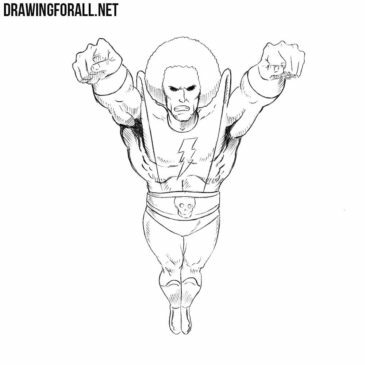 In this drawing tutorial we’ll show you how to draw Nebula step by step. Have a nice day to everyone! Today we made a new drawing lesson on the Marvel Universe. We chose a very rare hero. 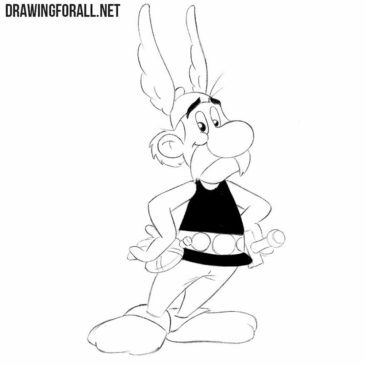 As you can see we make a post in which we will show you how to draw Magus. Hello! Today we wil draw the Multiple Man. You probably know that he is a member of the Brotherhood of Mutants. Hello! 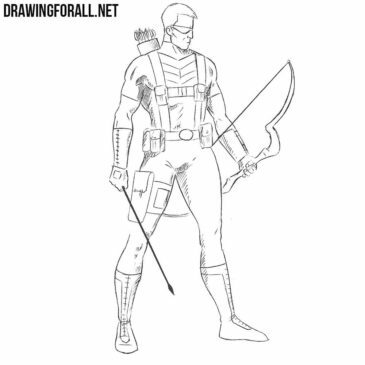 Today we will tell you about how to draw Hawkeye from Avengers. As you probably know, Hawkeye is not one of the founders of the Avengers team. The team of X-Men is probably one of the most famous teams of superheroes on pages of comic books.